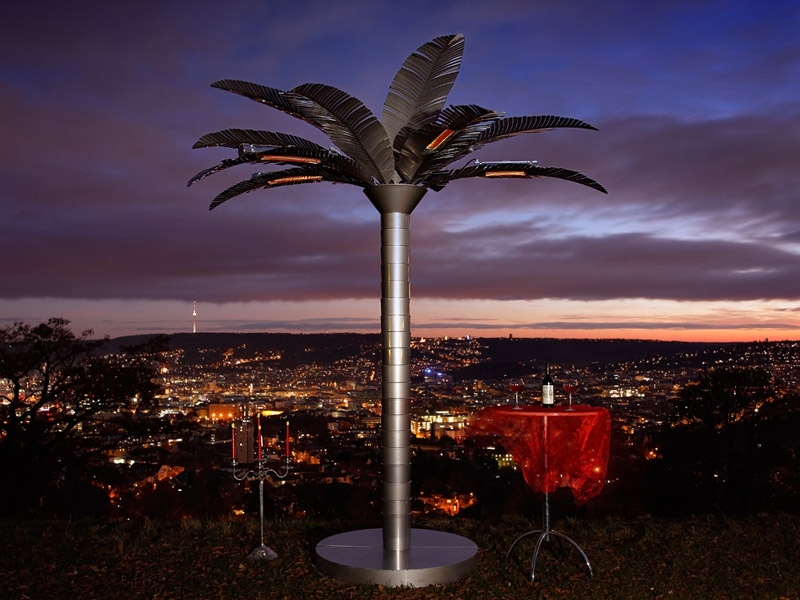 The Royal Palm stainless steel - made in Germany. This design object is built with quality materials, including stainless steel V2A in Germany. 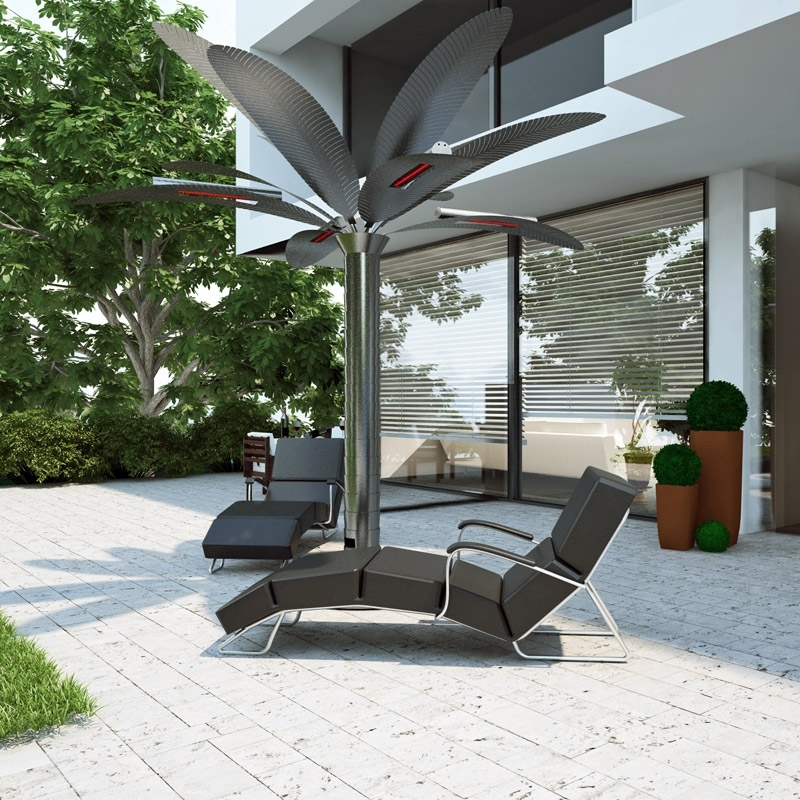 The infrared Royal Palm is available in different versions with 1 to 4 infrared heaters and also with a cooling spray-mist-system, so this masterpiece can be used in every season. This German quality has its price! We present the version with 3 infrared heaters à 1500 watts. Please ask for other models. The operating voltage for this device is customary in Europe 230 Volt, 16 Ampere.